Blessings in a Backpack Grand Ledge is a community effort, in partnership with the national Blessings In A Backpack organization, that provides weekend food to needy children in the Grand Ledge area during the school year. The Grand Ledge Public Schools have over 1300 students that qualify for the federal free and reduced lunch program. 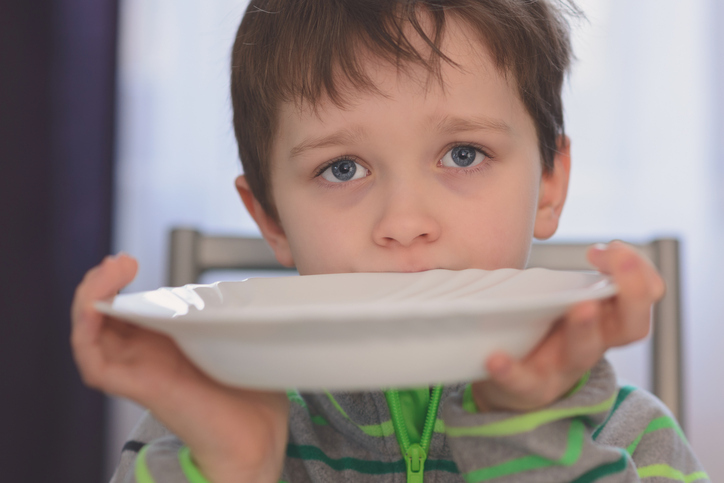 To qualify for the free- and reduced-lunch program, a child must be considered “at risk for food insecurity,” which means that he or she may be at risk for having inconsistent access to food at home. While these at-risk children are fed at school during the school week through the subsidized breakfast and lunch programs, what happens to these children on the weekends? Food insecurity doesn’t take a break on the weekends. That’s where Blessings in a Backpack Grand Ledge steps in. Our goal is to ensure that at-risk students have access to food over the weekend so that they show up at school well-nourished and ready to learn on Mondays. Blessings in a Backpack Grand Ledge is a 100% volunteer-run, community-supported program. Just $100 provides a student with food on the weekends for 32 weeks during the school year. We operate in partnership with the national Blessings In A Backpack organization, a 501(c)(3). The students who qualify for the free- and reduced-lunch program are eligible to participate in the Blessings in a Backpack program. At the beginning of the school year a permission letter is sent home to the parents in the students’ “Friday Folder.” A parent must return the signed permission letter in order for their child to participate. Parents of qualifying students can sign up at any time during the school year (our budget permitting) by requesting a Blessings in a Backpack permission letter from the Blessings in a Backpack representative at their child’s school. Click here for a listing of Blessings in a Backpack school representatives. Once we have the parent’s permission, we begin providing a bag of food to the participating student at the end of the school week for 32 weeks during the school year. The packing site/grocery coordinator does the monthly grocery shopping. Depending on what’s available and how much she is able to purchase, she tries to change the menu very 4-6 weeks. Volunteers from the Grand Ledge Lions Club pick up the monthly food order and deliver it to the Sawdon Administration Building where we have rooms donated for our use as a packing site. Every Wednesday different groups of community volunteers pack the bags of kid-friendly, non-perishable food assembly line style and place the bags into bins designated for each participating school. Volunteers from the Grand Ledge and Wacousta Lions Clubs, City of Grand Ledge, St. Michael Parish, and a member of the Willow Ridge PTO, pick up the bags and distribute them to the schools at the end of the school week. Each school has their own distribution system, but every school makes an attempt to distribute the bags in the most discreet manner possible. The child brings the bag of nutritious food home for the weekend and returns to school on Monday, well-nourished and ready to learn.